Bieguni was published in English in 2017 under the title Flights. Croft stayed at the invitation of the Book Institute in Poland at the College of Translators in 2009 and 2015. It was here, during her first stay, that her interest in Olga Tokarczuk's work began. In the final stage of the competition, in the category of books translated into English there were also: Disoriental by Negar Djavadi from Iran (translated by Tina Kover), Trick by Domenico Starnone from Italy (translated by Jhumpa Lahiri), Love by Hanne Orstavik from Norway (translated by Martin Aitken) and The Emissary by Yoko Tawad from Japan (translated by Margaret Mitsutani). 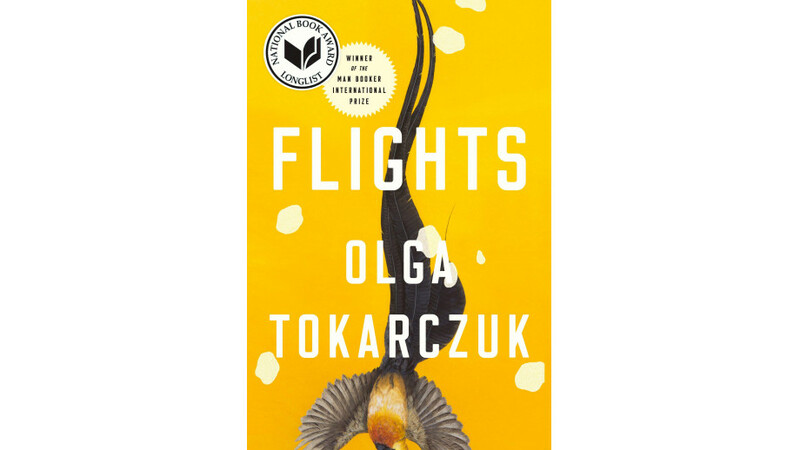 Flights is a literary monograph on the phenomenon of mobility, movement, and travel anxiety. According to the author, tourism has become a modern way of satisfying a very old, atavistic, nomadic drive. The axis around which the author has built the book is not a character or a story, but a phenomenon of traveling. The title of the book refers to the name of an eighteenth-century Russian sect, whose members believed that the world is the work of Satan, and when we stop, Satan has the best access to us. In order to escape from the devil, we have to move all the time. Tokarczuk writes that she met contemporary bieguni (the members of the sect), survivors of this sect, who travel on the Moscow subway continuously. The author describes the world of contemporary bieguni, permanent travellers who have their products in small packages, like travel-size cosmetics, folding toothbrushes, disposable slippers, their own diseases, associated with changes in time, their own language: simple, functionalised English. There is even a separate branch of psychology which describes them - travel psychology. The English translation of the book has already been awarded the Man Booker International Prize as well as the Found in Translation Award granted to translators by the Polish Book Institute, the Polish Cultural Institute in London, and the Polish Cultural Institute in New York.